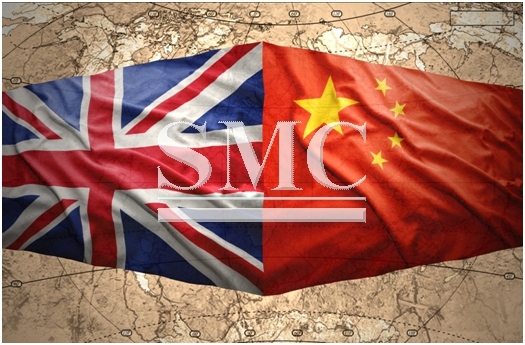 British Prime Minister, Theresa May, has publically stated her desire to forge a closer economic relationship with China, the world’s second largest economy. Britain is already the number 1 source of investment for China in Europe, and the Prime Minister wants the two economic powerhouses to enter a golden era by striking up a post-Brexit trade deal. Vice Premier of China, Ma Kai, this week flies to England for a meeting to discuss post-Brexit trade agreements, the primary target of the talks is for Beijing to increase their investment into UK infrastructure. The Chancellor, Phillip Hammond, will host talks today (10 November 2016), aimed at intensifying the UK’s trading relationship with China and showcasing Britain as one of the best places in the world to do business. It would appear that Britain’s strategy for life after Brexit is to target the world’s fastest growing economies. The Prime Minister said: I’m determined that as we leave the European Union, we build a truly global Britain that is open for business. That is the message I took to India this week, and that’s the message I will be giving Vice Premier Ma Kai on his visit to the UK. As we take the next step in this golden era of relations between the UK and China, I am excited about the opportunities for expanding trade and investment between our two countries. Mr. Hammond will also be announcing during the meeting a number of key projects that will be taking place in the country, a majority of which are taking place in the north of the country in areas such as Manchester, Sheffield and Doncaster, the North is the area which predominantly voted to opt out of the European Union.